May it be a Very Lucky 2013! For me, the holidays are a blend of magnificent, fragrant sensations. Because I'm a cook as well as a perfume obsessed writer, the smells of the season tend to blend together for me in a gloriously fragrant stew starting from Halloween through the New Year. There are so many fragrances that I love that are synonymous with this time of year, but I've been told today that I have to choose only five. This is not an easy feat for someone like me, but here goes! 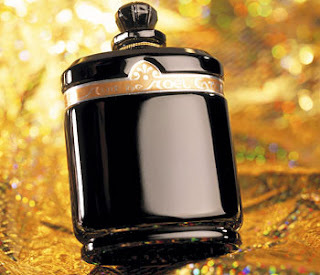 Most of you who read my musings know that from November the 1st until January the 2nd, I will only wear Caron's magnificent Nuit de Noel. I love it because to me it smells like a crackling fire with a split of champagne and a bouquet of slightly warmed roses in a vase nearby. Nuit de Noel is full of spicy amber, musk and a bit of oak moss… some may call it a chypre, but to me it's a true oriental. Last year I was gifted with a bottle of the vintage perfume that I ritualistically applied this year during this week of Christmas…1 drop on each wrist, one drop in the cleavage . It's just beautiful…an entirely different animal than the EDP and to be cherished. True to my word I put my Nuit de Noel away sadly every year come the second of January, but because I do so it's a bit of magic that's never lost it's ability to enchant me year after year. The second of my favorite holiday scents is the Noel candle and home spray from Annick Goutal. This is possibly my favorite home fragrance anytime of the year, but during Christmas it is just so beautiful to me. Several years back they actually discontinued it, but the hew and cry must have been intense because thankfully it wasn't gone very long! Noel is the classic balsam and pine smell of Christmas with a touch of fresh orange and spicy mandarin. It gives me a lift all year round but never more so than during the holiday season when it is completely and understatedly appropriate . To me synonymous with the holiday season is a shopping trip to New York City and the roasted chestnuts that can be found on every other street corner is my idea of simple and perfect fast food. A bag of them in my lap while snuggled up against my husband in a Hansom carriage is as far as I'm concerned the best time to be had in the world. I love them…peeling them leaves a roasted , woody aroma lingering on my fingertips and eating them is a sweet and sinful pleasure. These same roasted chestnuts and champagne are a perfect pairing and lets take it up a notch and talk about marrons glace! To make those you'll take those same roasted chestnuts and simmer them over and over again in a bath of simple syrup until the moisture in the chestnuts has been replaced by the sugar, leaving them crystalline and aromatic. Crumbled over fresh vanilla ice cream and sprinkled with a bit of candied ginger you won't find a much more delightful and festive dessert to enjoy with even more of that Champagne. Every year on Christmas morning I would walk into my mothers kitchen where she would be making the same breakfast that she had cooked and eaten for almost her entire life. Creamed Chicken a la King on buttered toast points, egg strata with cheese and smoky bacon, a fresh pecan roll , stewed fruit and a pot of coffee . Since she's been gone I make it every year (my family would riot if I didn't!) and it's a wonderful way to spend my morning thinking of her. All of the aromas of that breakfast are wonderful, simmering onions and warm yeasty sugary dough , but the stewed fruit is especially amazing. It's a simple recipe too, water and about 5 different sorts of dried fruit go into a saucepan along with a cup or two of mulling spices, two cups of brown sugar, a cup of sherry and a sliced lemon and orange. It simmers for hours until the whole thing is a syrupy , delicious mess of fruity, spicy goodness. There's always plenty left over because a little goes along way. Around New Years I'll put it back on the stove, add an onion or two and simmer it down some more and serve it with a pork tenderloin and some crispy roasted potatoes. The last of my favorite holiday aromas is perhaps the simplest one. It really can't be called Christmas if I don't have a batch of my mothers Christmas Chocolate Pears. This is possibly the simplest recipe in existence and it was first discovered by my father and me at a wonderful old Atlantic city restaurant called "Bruno's Pen and Pencil". It took my mother years to replicate it and when she finally did we were in heaven because it is just so good. You must have freshly whipped cream and you must use canned pears and a thin layer of the very good chocolate. At Bruno's they made these in individual servings but for a party you can layer the pears in a crystal bowl. Then layer the whipped cream on top of them, and place them in the freezer . Melt the chocolate, add a little bit of the canned pear juice into it and then pour a thin layer of the chocolate over the top of the whipped cream and pears. The chocolate will harden into a delightfully bittersweet coating that cracks when you touch it with the spoon. Each mouthful is a decadent bite of pear, chocolate and whipped cream and is simply perfect. Thankfully my dear friend makes it for us every year so that the tradition continues as I would prefer to never have to be without them. It was very hard to choose just three top fragrances for 2012, because so many good ones have been launched. I could have closed my eyes and pointed, and picked any number of others, but since I have to decide: 1. Neela Vermeire Creations Bombay Bling! was a delicious surprise, a mango fragrance that was much more than just a fruity novelty. Of course, the fact that it was composed by the great Bertrand Duchaufour doesn't hurt! 2. Providence Perfume Company Moss Gown, an all-natural perfume with a vintage vibe that entranced me completely. It smells like the kind of fragrance that mainstream houses gave up on decades ago. 3. Arquiste Flor y Canto, just a beautiful white tropical floral with the twist of pungent marigold to make it interesting. It was a standout for me among the Arquiste scents, all of which are very good. If I had write this last month, I would have vacillated between three fragrances, looking for my one Top 1 of 2012. It so happened, however, that in the beginning of December I attended the Nutcracker, the Balanchine version, at the Lincoln center, with the big tree going up and the saucy Coffee of Arabia (all the dads in the audience were wolf-whistling) and the cute Candy Cane (all the moms in the audience wished they knew how to wolf-whistle) and all those magical trimmings that made even this jaded heart go aflutter, like a 10 year old's. And for that occasion I finally, hands shaking, opened my vintage Nuit de Noel, in its packaging with all the trimmings, the black bottle, the golden wire, the green tassel. And the combination of the two magics was absolutely perfect and truly powerful. And then I vacillated no more. Nothing compares to Nuit de Noel with its "slight patina of olfactory dust, the texture of old Persian lamb fur, still glamorous but worn so thin that now it looks and feels more like velvet. The kind of texture that makes it hard to distinguish notes in a composition, leaving one with a general impression of a Perfume and a feeling of vague nostalgia." Since we have done nine scents so far I am going to pick just one, that was from 2012 and that I reviewed on this blog. So it has to be Anat Fritz Tzora. I called it in my review an "instant classic" and I stand behind that. It's a pitch-perfect blend of peppery orange, subtle florals with cedar and a deliciously musky patch drydown. It's even decently priced at $130 for 100 ML. It's marketed as a masculine, but like really great "men's" scents it is entirely unisex. No post for today- we're busy working on our best of 2012 post! So tune in tomorrow and let us know what you think were the best scents you experienced this year. But leave a note here to tell us what you wore for the holidays, and/or what you plan to wear on New Years Eve. I think I'm going to cuddle up with MKK and a good book. Aftelier Perfumes has launched two special new products for Holiday 2012, coming close on the heels of her new perfume launch, and after testing all three of them I can state with confidence that you just can’t go wrong whether you give one of them as a gift or if you are lucky enough to be the recipient. Not long ago I reviewed the wonderful Oud Luban, a welcome all-natural addition to the dizzying array of oud-based fragrances that are so popular now. Smelling neither overtly medicinal nor harsh as some synthetic ouds can be, it is a warm and radiant fragrance, and a great introduction to oud scents for the timid among us. The Extrait version, which really knocked my socks off, is now available. It is hypnotically redolent and incredibly smooth. Even in this highly concentrated formula, it is better mannered than many oud perfumes and the use of elemi, blood orange and orange terpenes in contrast with the oud works like a charm, creating both a delicious citrus opening and a saffron-like effect as the scent develops on the skin. 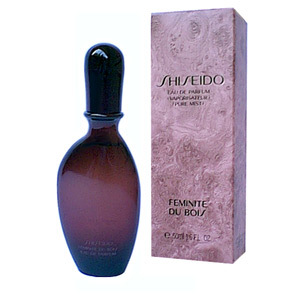 It would be an ideal special occasion fragrance for men, but women will love it too, as I do. Mandy Aftel started making her Ancient Resins Body Oil & Hair Elixir especially for a certain Mr. Leonard Cohen, who uses it as hair oil and is never without it. Now the rest of us can experience this wonderful product, which is a subtly scented oil that softens the skin, smoothes the hair and adds a touch of fragrance to the daily grooming routine. It is a simple composition of frankincense, balm of Gilead, benzoin, elemi and labdanum, in a rich base of jojoba and coconut oils. It is rich without being too sweet, soothing without being greasy, and easily suited to either women or men. It is quickly absorbed and its moisturizing benefits last all day, so it is ideal for winter use. This elixir, which is also available in several other holiday-worthy scents such as Chocolate & Saffron and Pear, Fir & Coffee, is among the most affordable in the Aftelier lineup, which means you can give it as a gift and keep one (or more) for yourself. It might seem strange that Wild Roses is the first rose perfume from Aftelier; the line has fragrances of almost every style you can think of, and not having a perfume that highlights the Queen of Flowers might seem to be a major gap in the line. Fear not, for it was worth the wait. Wild Roses is a rose scent like no other, rich and resplendent, and saturated with the intensity of three different rose essences, spices, apricot, tarragon and other herbs, in base of vanilla absolute, indole and aged patchouli. Mandy took her inspiration from the experience of walking around her own garden and smelling all the roses there. It does not capture the aroma of any particular kind of rose, but it does remind me of several of my own favorites – the rich, sleepy muskiness of the old Hybrid Musk ‘Buff Beauty’ which, unlike most roses, gives its perfume freely to the warm summer air; the astonishing David Austin English Rose ‘Jude the Obscure’ with its nearly tropical mélange of fruity notes; and most of all, the modern Romantica rose ‘Comtesse de Provence,’ in whose deep coral petals lies the delightful surprise of sweet apricots bursting with ripeness. I can’t tell you how often I have inhaled the scent of this delicious rose and thought to myself how wonderful it would be to have a perfume that captures it. Well, now there is one! Wild Roses is a fantasy rose perfume, and its evocation of a bigger than life, languid rose fragrance is the kind of flower one dreams of in deepest winter, a golden talisman to cling to when the garden is nothing but lifeless black branches and barrenness. It is the hazy anticipation of summer that keeps us going when our only garden pleasure is looking at catalogues and gazing inward with the mind’s eye at our ideal garden - yes, this year it will be perfect, just the way we want it, glowing with color and filled with fragrant blossoms and glistening fruits. Whether the Eau de Parfum or the simply stupefying Extrait is selected, this marvelous perfume will warm anyone’s summer-starved heart. 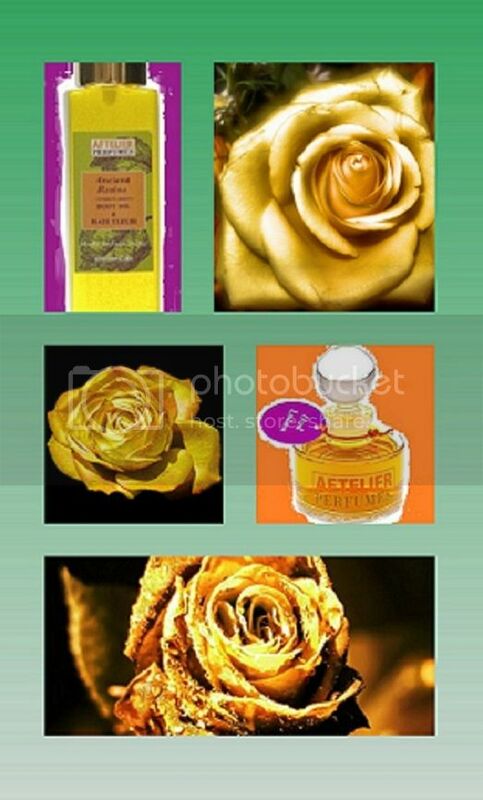 Disclosure: Aftelier Perfumes sent me the samples of the above products for testing. "Then they opened their treasures and presented him with gifts of gold and of incense and of myrrh." May your Christmas be magical and fragrant! Here is to hoping Santa is bringing everyone's wishlist items, and many - the longer to unwrap them! Wearing Nuit de Noel...How about you? The longest night of the year is upon us and once again I’m throwing with my sister our annual Winter Solstice bash. Will it be the end of the world? Will there be more snow? Will I have enough food for all of the friends we're expecting? Enough Champagne to toast the New Year? Enough of Caron's Nuit de Noel to carry me through to the end of the year? I’m truly not sure about the whole “End of the World “ thing , but I’m definitely hoping that it’s the end of an era. You’d have to be tucked somewhere in the deep dark wilderness to have not been affected by the tragic news this week. It seems that America is experiencing her own longest night and I must admit that it’s difficult to not give in to the sadness. I knew that somehow I needed to honor the little angels whose lives were lost last week in Newtown, but I wasn’t sure how to do it. Then very unexpectedly came an invitation from my niece to join a Facebook group called "Random Acts of Kindness". Random acts of kindness are certainly not a new concept, but this one had a twist. The founder of the group, a young mother herself, probably not older than 25 asked us each to do 27 random acts of kindness in honor of each of the lives that were lost last Friday. What a simple yet brilliant truth. You don’t have to have a lot of money to perform a random act of kindness, just the desire to make a difference. Random acts of kindness can be well thought out or they can be spontaneous! They are precious in that they are gifts of yourself, something that this world seems to need now more than ever. So on this Solstice eve I propose that we follow her example and think of something we can do that doesn’t necessarily cost a dime yet would make all of the difference to the receiver. Half the fun of doing this is to perform these acts towards someone who has no clue who you are or if you’re going to do something for someone you know don’t let them see you. I love the idea of writing 27 Christmas cards and putting them on anonymous car windshields like she did, who knows? The possibilities for kindness are endless! So I thank you Nicole Canales for although we have never met, I am so grateful to you for reminding me of the difference that I can make in this world. I encourage you to visit her group on Facebook simply called “Random Acts of Kindness”. You’ll be very glad you did. To you my dear readers once again we have reached that spoke in the wheel of the year where I get to tell you just how much I appreciate you all. This funny little world that we inhabit together, this place where gorgeous perfumes and yummy foods blend to make the most sublimely passionate prose is one of my happiest places. I always wish that you could be at my Solstice Party, where I would feed you cups of luxuriously boozy and spicy eggnog and platefuls of the most glorious desserts that you’ve ever seen, some fruit, some chocolate… all splendid. Mostly I wish that I could just once wrap my arms around each of you and give back to you personally what you have given to me. As I light the fragrant Noel candles and the Yule fire this year I will be thinking of you all and making a wish for the most wonderful 2013 to come. As corny as it sounds, in the eternally sappy words of Jerry Maguire, ”You complete me”. The comments you leave and the emails I receive let me know that from my little desk in my little corner of the world that I’ve made a difference to you and that’s not a little thing for a wordsmith like me. 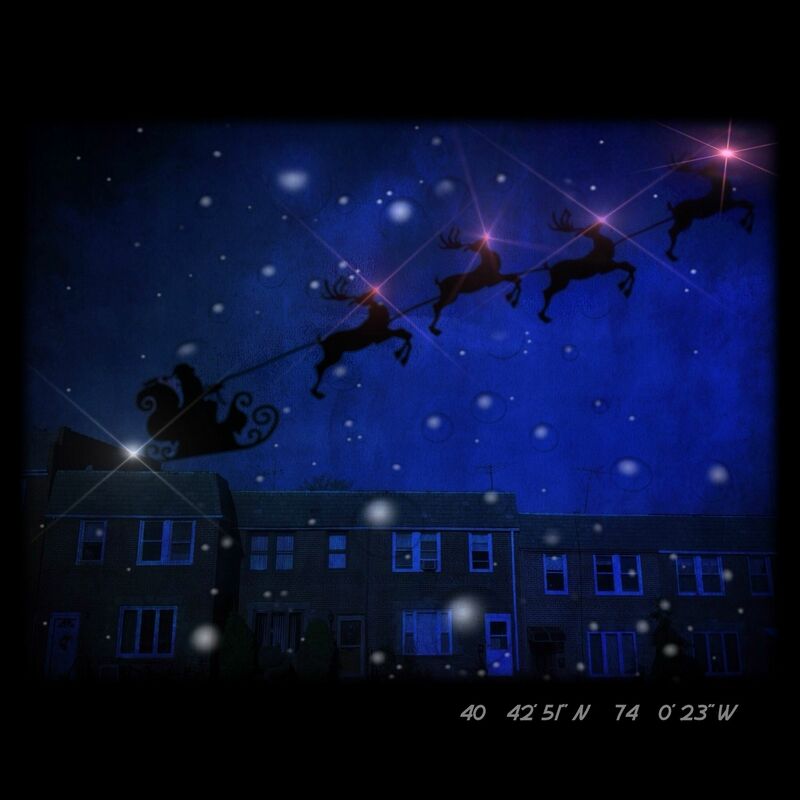 Wishing you all a Very Merry Solstice and I’ll see you all on the other side of 2013! It's not a secret that I am a fan of Opus Oils and their cheeky, naughty packaging that always contain such delicious juice. I came home to find a little holiday package containing a sample of the scent I'm reviewing today, and another one called Mother that I'll review on the Posse tomorrow. Being a rather staid resident of 90210 who dresses himself almost exclusively from the Gap and the LL Bean catalog I don't know much about the collections of Donato Crowley, who does wearable artworks that really push boundaries. The sort of thing that Lady Gaga would wear on the red carpet. I ran into perfumer Kedra Hart and she mentioned that she was working with them on creating a scent for them. Although it's damning with faint praise, this is the scent that Lady Gaga should have released. From their website: "Glam Monster this Artisan Parfum "Poison Couture Light" begins with an initial burst of Pink Pepper and White Grapefruit, romanced by the forever-beloved Tuberose, Jasmine and Casablanca Lily and haunted by the mystery of Oud, Narcissus and bittersweet chocolate, truly addictive. 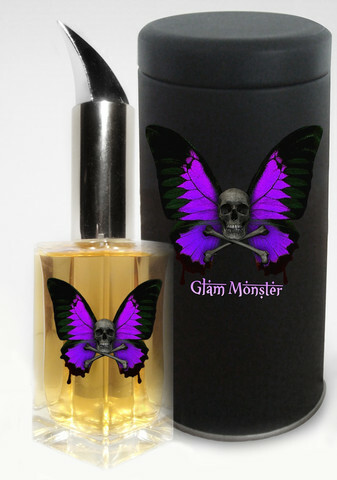 Awaken your GLAM MONSTER!!!" Reading this list of ingredients I should want to head for the hills. In reality it's really a great scent- youthful, playful and sparkling, but not at all insipid. The pepper and Grapefuit last quite a long time over the white flowers even into the oud and cocoa base- a base that should not work, but completely does. Even on those of us who are more apt to wear kelly green from LL Bean than spiked leather masks..
$95 for 50ML of EDT, $186 for 50ML of EDP, at their website. My samples came from the perfumer. 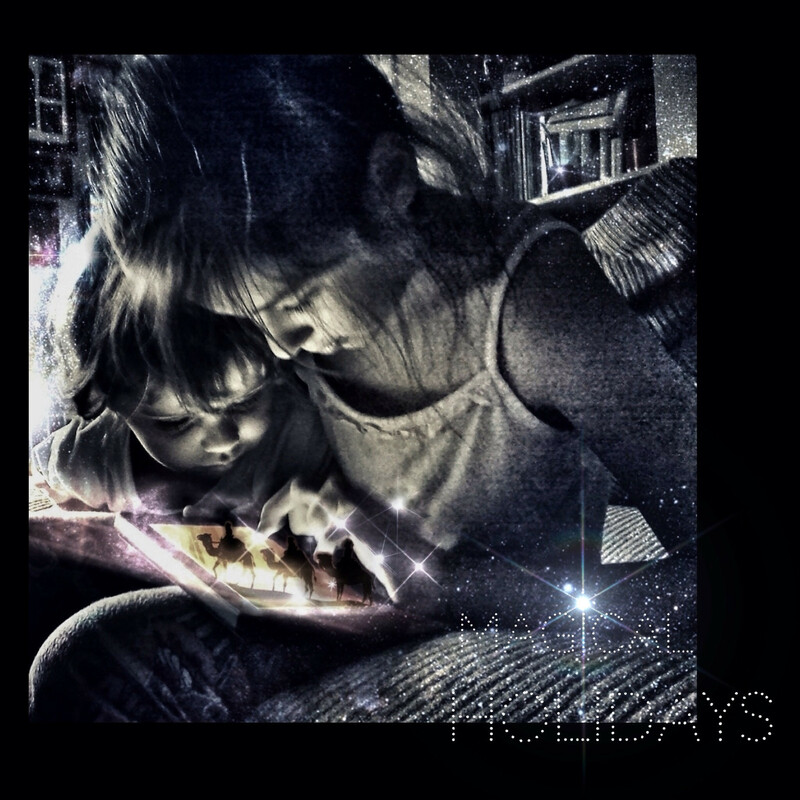 Foodie Sunday: Making your holidays just a bit more stress free! Don’t you wish that you could just take the time right now for a luxurious and blissfully indulgent spa weekend? There’s nothing like the hustle and hurry of the holiday season to make even the most seasoned shopper like me long for a bit of time out! Long years spent in the grueling trenches of holiday retail have taught me a few tricks! I’ve learned that if I just give myself an extra bit of TLC during the month of December that life is looking pretty good by my annual Winter Solstice party! So here is my gift to you in the form of some of the most relaxing tips that I know to keep the holidays special, sparkling and bright! First of all please make sure that you’re taking the time to eat right. For every piece of candy or every Christmas cookie that you eat (and I am the first to admit that I’ll enjoy plenty this month!) make sure that you eat at least 2 pieces offresh fruit, or a snack of fresh vegetables with a bit of cheese. Salads as often as possible this month can really help to move the sugar through your system, just remember to watch the dressing. If you’ve got a juicer, try to have at least one glass of fresh juice today to gently detoxify your system! You need even more hydration than normal when enjoying Champagne filled evenings so I love to sip lots of green tea or my own herbal tea blend (I love red rooibos tea blended with cinnamon, pink peppercorn and sage! ), sweetened with agave nectar or raw honey. I can’t say it enough, if you’re a coffee drinker, alternate between tea or sparkling water. If you have a soda-stream machine you can make your own, but if not why not buy good seltzer water and flavor it yourself? One of my favorites this time of year is a classic combination of soda, peppermint essential oil or extract and a bit of chocolate syrup with about a teaspoon of agave nectar. Stir, pour over ice and enjoy! You can add fresh juice to soda water or even flavored green tea to make a healthy spritzer. Absolutely no sugary soft drinks…PLEASE? If you really overindulge one evening just jump back on the bandwagon! After a night of too much eggnog (and who can resist too much eggnog every now and then!) just make sure that the next day is filled with food that’s as “clean” as possible and by this I mean nothing processed and everything simply cooked and fresh! Drink lots of fresh water and add some extra vitamin B and in a few hours you’ll feel like new again! Make sure that you get plenty of fresh air this time of year even if it’s cold outside. Just bundle up and take a quick walk or if you have an office, open the window, shut the door and do a few simple yoga stretches. If you can take a walk before you go to work in the morning begin and end it with a few simple stretches. Then sit down and drink a cup of tea and read something delightful ( Perfume Smellin things!) even if it’s only for 15 minutes. This will relax and prepare you for the busy day ahead. A bath or a lovely shower at the end of a long day is my idea of nirvana, but a bath in the morning before work is true pampering. My mother used to take one everyday and she swore by them. If you can, get up early one weekday and fill up the tub with bubbles or delicious bath oil; I particularly love Jo Malones French Lime Blossom for the mornings. Not too hot and not too cold… choose a temperature that relaxes and refreshes you. If you want, add a yummy sugar or salt scrub (Laura Merciers Crème Brûlée !) to keep your skin glowing, then slip out of the tub, wrap yourself in a huge bath sheet and moisturize with a light sesame, olive or almond oil. Don’t forget a spritz of your favorite perfume and you’ll feel ready for the busiest day. If you don’t have time for a bath, how about throwing a big handful of fresh or dried herbs like lavender, rose, peppermint or lemon verbena into a pot for a wonderful facial steam. Bring the herbs and water to a simmer, put your head over the pot and cover your head and shoulders with a soft loose towel for a few minutes. Afterwards, splash some cool water on your face and spritz with some rosewater that you can buy at any health food store. Alight massage of your favorite moisturizer will have your skin glowing and ready for makeup if you wear it! If you’re lucky enough to have someone around to give you a healing massage don’t hesitate to ask for one this time of year (don’t forget to give as good as you get!) but if not you can give yourself a very good self massage quite easily! Keep a tube of peppermint foot cream and another of your favorite hand cream in your purse or briefcase at all times. When you feel in need of a quick break, just give yourself a simple hand massage by gently pulling on each finger and rubbing the cream into your palms, massaging all of the tendons in your hands. Be sure to rub your neck and shoulders, the easiest way to do this is to interlock the fingers in both hands and then use your thumbs to massage gently all of the way around your head and neck. You’ll be surprised when in a few minutes you’re feeling refreshed and ready to tackle all of that unfinished Christmas business! Last but definitely not least, be sure to set the scene for the holiday that you want. Fill your home with candles and fresh greens, and let yourself enjoy the sounds and spirit of the season. 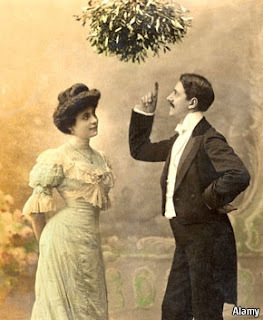 Have this holiday season be the way that YOU want it to be and be sure to include my favorite ingredient of all…Lots of Mistletoe for kissing under! Make your own Peppermint Bark; just look in The Food Network magazine this month for the coveted Williams Sonoma recipe! Find your inner child and decorate a gingerbread house or two! Too often these days our holidays are dictated by marketing groups sitting isolated in their offices far away so instead, why don’t you choose what you want your December to look like this year. If you want your home to be a peaceful haven completely removed from the holiday madness then that’s what you should create but if you want the Norman Rockwell/ Martha Stewart version go ahead and try for that too! Just don’t stress yourself out with images of perfection that are airbrushed and unrealistic.Take a deep breath, jump in and enjoy yourself. This is a season full of magic and good wishes and my wish for you is the very happiest and most original of holidays this year! 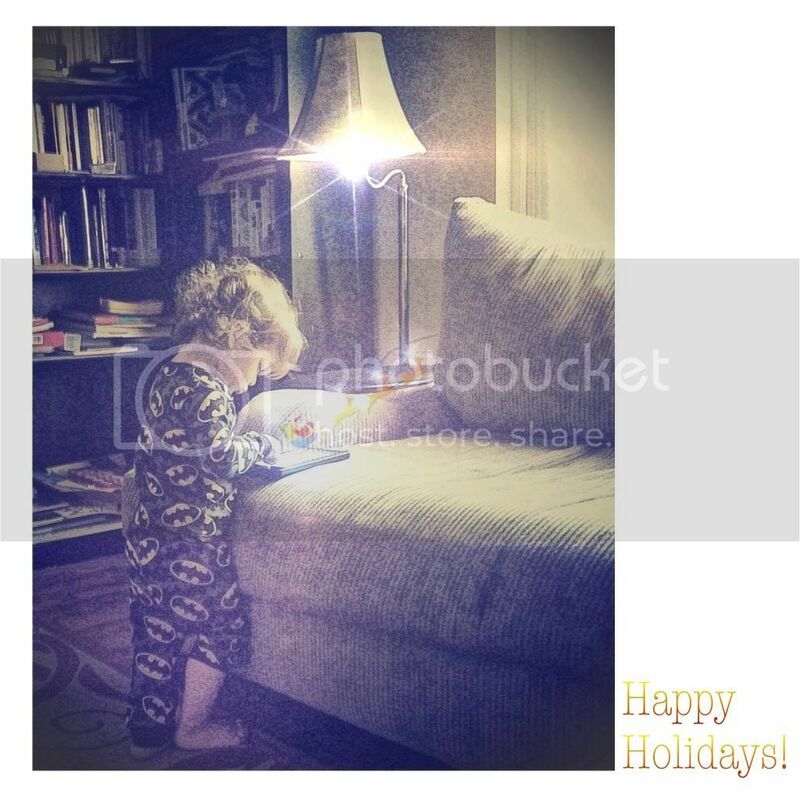 Wrapping all of you in Huge hugs , plenty of kisses and a luxurious cloud of Nuit de Noel…. the one who was all-wise, and watched over the forest creatures. feel her power in the scudding clouds and the supplicant limbs of the trees. she holds her ground waiting for the cold to come down over the world. fallen leaves in her wake, soft moss growing around her trailing hem. South Wind's lissome beauty, having grown faded and chilled, has disappeared. Her return is certain, but by then he will be too old and grey to woo her. but in the end he is driven back when the patient Mother quells his unruliness. searching for the southbound skein of geese I can only hear through the ragged sky. scattering silver curtains of rain with her gusts and sending me indoors defeated. and biding her time, knowing I cannot stay cocooned within these walls forever. 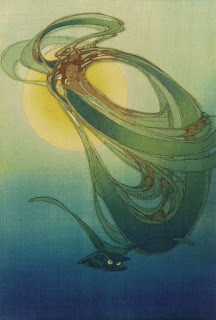 “The West Wind” By Donna H.
I was inspired to write this poem while I was wearing the beautiful new Moss Gown perfume by Charna Ethier of Providence Perfume Company. I may not be much of a poet, but I was so enchanted by the fragrance that I felt moved to pay it tribute. I am a true moss lover, and so I have been lamenting the loss of real oakmoss and other materials in all the iconic European perfumes as the houses continue to fall into compliance with the draconian EU regulations that control which ingredients can be used in perfumery. As soon as I smelled Moss Gown, I was once again reminded that American independent perfumers are under no such constraints, and anyone who wants fragrances with real natural ingredients needs to go looking for them in the artisan houses. Moss Gown is meant to evoke a retro aesthetic, which it does most emphatically, but it is also a bold modern composition. Its inspiration was a contemporary retelling of a fairytale, a story set in America’s Deep South of a girl forced to wear rags and sleep on a bed of moss, and who encounters a magical woman who teaches her the secret of turning her rags into a beautiful gown. The perfume is brighter and more floral than most classic mossy chypres, but it does remind me of one in particular, the masterful Profumo by Acqua di Parma, which is one of the few chypres I know of which is equally good in its original version and the current reformulation. They share a smooth, easygoing style and a modern sensibility. Where Moss Gown departs into new territory is in its blend of superb florals, which adds a dimension of space and light that makes it sing; the feeling is of sunlight coming through the trees in a deep forest just after the rain, causing sweet aromas to arise from the damp, mossy earth. A top note with sunflower essence, mimosa and chamomile starts things off with a bang and signals that this is no ordinary scent. The gorgeous heart is composed of rare Tasmanian boronia, rose, coffee flower, narcissus, lilac and violet leaf; this is even more impressive when you remember that all the perfumes from this house are 100% natural. The base is French cedar moss, sandalwood and white cedar. Cedar moss is a close relative of oakmoss; it does not have quite the dark, bitter-green bite of its cousin, at least not in this fragrance, but it does have that satisfying rasp of dry astringency that marries so well with other notes and creates true magic with florals and woods. Because of the fixative power of the moss, this fragrance has excellent lasting power and can last for twelve hours and beyond. The brightness carries through to the end, so it retains that spacious feeling all day. For admirers of both chypres and high quality florals, Moss Gown is a must-try. Oh my goodness…how can it be December? Autumn just flew by and now it’s time for Christmas? I can barely believe it! I hope that all of you had a truly wonderful Thanksgiving. I did, spending it in Boulder Colorado for the very first time with my husband’s side of my family and of course Alex who came with us. It was a wonderful trip and of course I spent all of the holiday in the kitchen doing what I love to do best. I had a wonderful time but Thanksgiving this year was made even more memorable by the fact that my mother –in-law (a fabulous cook in her own right) cocked her head and proclaimed my turkey absolutely delicious. This was truly big deal as she makes it for the family every year and I was very nervous about stepping on her toes. I got up at 6:00 in the morning and began to cook. By 8:00 am I’d made two pans of Brussels sprouts au gratin, twocasseroles of creamy, garlicky, parmesan laced spinach and a huge stockpot of chestnut, sausage and dried fruit stuffing. My darling husband spent his time peeling at least 20 of the largest baking potatoes that I’ve ever seen. The man is definitely a keeper; the best sous chef that any woman could ask for… exceptionally good with his hands! Mine is a family that loves them mashed and there had better be plenty of them. Fortunately for me by the time it came to mash them my niece Nicholle had arrived bringing her boyfriend Ian who is a wonderful cook in his own right. Grateful for the help, I tossed him the hand mixer! We made three kinds; one with lots of butter and sour cream, one with plenty of infused garlic, butter and whipping cream and onewith sour cream, butter and cream cheese. Of course everyone was happy! There were so many left over that the next night my sister- in -law Barbara used them to make homemade pierogies with smoked sausage and sauerkraut. I was reminded all weekend of how much fun it can be to spend time in the kitchen with the people you love. Cooking together is such a wonderfully simple way to enjoy each other’s company. When Monday came I left Colorado very reluctantly but completely refreshed and soul satisfied. So now I’m home and I’ve a goal this year starting on December the 1st (Yikes that’s NOW!) to make some sort of delicious homemade gift at least every other day. I’ve already got a beautiful spiced apple syrup in the refrigerator just waiting for the addition of a few cups of Red Stag bourbon that when bottled will make a lovely addition to any bar. Next week I’ll start making chocolate bark…several different kinds just filled with fruits, nuts and crystallized ginger then drizzled with lots of chocolate, both white and dark! I’ll be making marrons glace’ too and if you’ve never had those delectable morsels you really owe it to yourself to taste them just once. 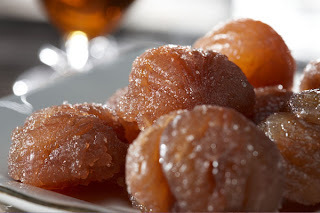 Simply put, they are chestnuts that are boiled in a bath of thick simple syrup over and over again until the water in them has been replaced with sugar. They are crystalline and wonderful; a very French Christmas staple. I make them almost every year and eat them as quickly as I bottle them. Crumbled over vanilla ice cream and drizzled with a bit of brandy there is almost nothing more luscious, unless of course you take those same chestnuts and layer them amid folds of whipped cream, custard and jam to create a perfect English trifle. I intend to make my own Yule Log this year for my annual Solstice party, covered with dense chocolate frosting, meringue mushrooms, filled with ganache laced with those very same chestnuts, whipped cream and dusted with powdered sugar snow! I’ve been working at Williams Sonoma this season and of course for someone like me who’s kitchen obsessed that’s quite a lot of fun but my trip to Colorado actually inspired me to make more presents myself and buy less of what I could actually be creating. These days in America the holiday season is full of built in obsolescence and I’ve begun to grow weary of store after store filled with trendy merchandise blessed with approximately one year of a shelf life. I believe that it’s time to reclaim the traditions that we love instead of allowing a marketing department somewhere far away to dictate our plans for the season. When I was a child we made garlands of popped corn and cranberries and strung ribbon candy with streamers and bows. It was a homemade holiday, butthose are the ones that I loved the most, spending hours with my family creating the beautiful decorations for our tree. I for one am tired of being frantic by the time that I get to Christmas eve and I’m determined this year to take a trip back in time and reclaim the traditions that fill my Christmas season with all of the old fashioned beauty and love that I remember. So to start I’m going to make my mother’s fruitcake! I already hear your groans, but trust me her fruitcake is really very good, full of fruits, nuts, plenty of spice and very little batter. The loaves smell like heaven when they’re baking, but the fun really comes when I cover them in sherry soaked cheesecloth and spend the next couple of weeks soaking them in spiced rum. My mother taught me to make them one year when I had very little money for gifts. Wrapped in a pretty Christmas towel and bow and gifted with a recipe for hard sauce (brandy, butter and confectioners sugar!) they make a delicious present. This is the recipe that she used, straight from Southern Living magazine, but as old as the hills. I promise you that it’s delicious! Soak raisins in sherry 8 hours; drain and set aside. Combine pineapple, candied cherries, pecans, and 1 cup flour, tossing to coat. Set aside. Beat butter at medium speed with an electric mixer until fluffy; gradually add sugars, beating well. Add eggs, 1 at a time, beating well after each addition. Combine remaining 2 cups flour, salt, allspice, cinnamon, and, if desired, mace. Add to butter mixture alternately with whipping cream, beginning and ending with flour mixture. Beat at low speed just until blended after each addition. Add preserves and extracts, beating well. Stir in reserved raisins and fruit mixture. Spoon into a greased and floured 10-inch loaf pan. Bake at 275° for 3 hours or until a long wooden pick inserted in center comes out clean. Cool in pan on a wire rack 20 minutes; remove from pan, and cool completely on wirerack. Soak cheesecloth in 2/3 cup dry sherry, wrap around cake, and place in an airtight container; refrigerate 7 to 10 days. 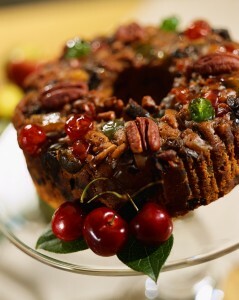 Every other day, baste the fruitcake with your choice of spiced rum or brandy. My other long-standing holiday tradition? A dab or two of Caron’s gorgeous Nuit de Noel perfume from Thanksgiving til New Years day. A dear friend sent me a bottle of the vintage perfume last year as a special gift and I am so enjoying its loveliness. I know that it’s a cliché, but no other perfume says Christmas to me! So tell me, what are your holiday foodie traditions? What do you do to make the season your veryown? Next week ? My mother's recipe for Christmas Pears with whipped cream and bittersweet chocolate! Random.org has spoken, so here is the list of winners for The Perfume & Skincare Company fragrances. Please send us your info using the contact link on the right.